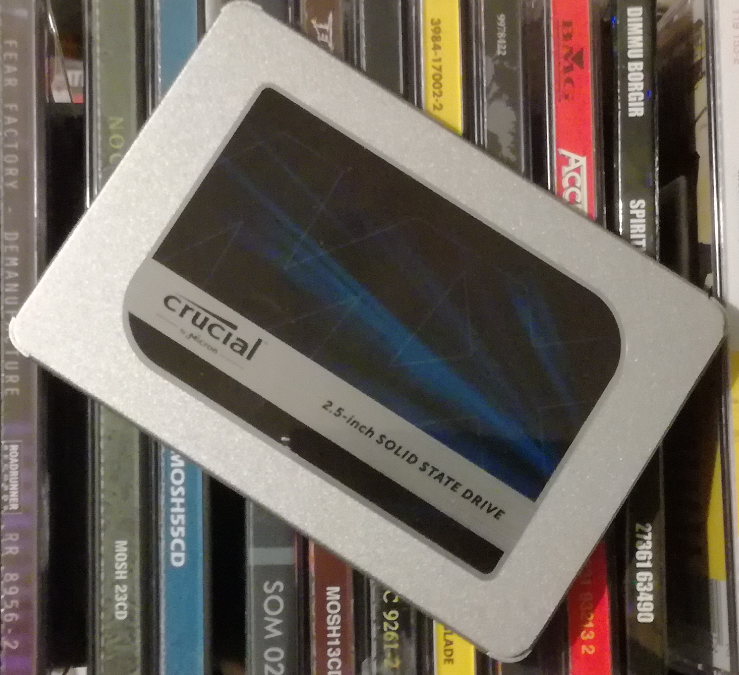 Its always hard to find a good SSD that has good performance and it also offers great value for the money, so here is the latest SSD from Crucial the BX500. 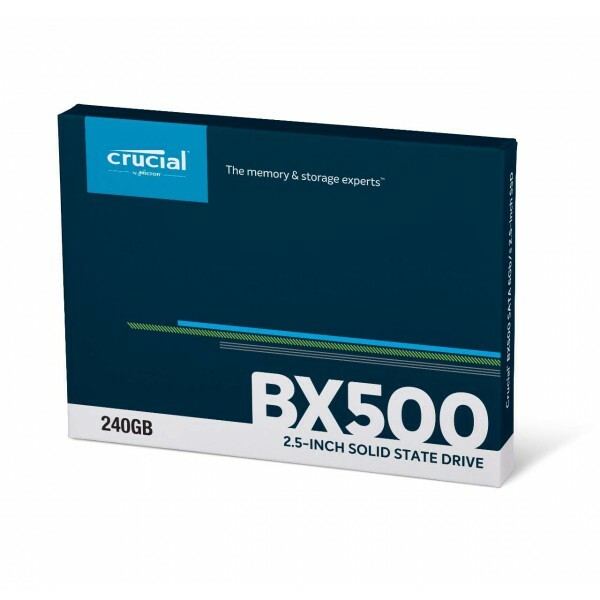 I am taking a look at the 240GB. drive, to find out more about its performances continues reading this review. 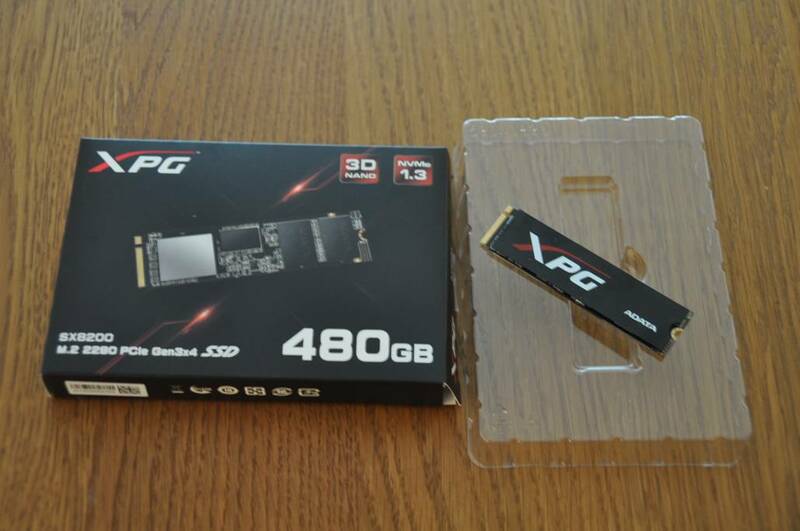 Welcome to Myce’s review of the Adata XPG SX950U 240GB SATA SSD (hereafter referred to as the SX950U). The SX950U is another modern SSD that uses 3D TLC NAND. Will is stand out from the crowd? Please read on to find out. Welcome to Myce’s review of Shuttle’s SZ270R9 XPC Cube Barebone Mini PC. The SZ270R9 consists of a stylish case with a pre-installed mainboard, power supply unit (PSU) and cables. Despite its small form factor, it offers outstanding connectivity, functionality and performance. For a full PC system, a processor, memory, HDD or SSD storage and optionally a graphics card need to be added. Shuttle XPC cube Barebones are completely customisable meaning users can pick certain components on their own to ideally match their individual needs. Please read on to see what we made of the SZ270R9. 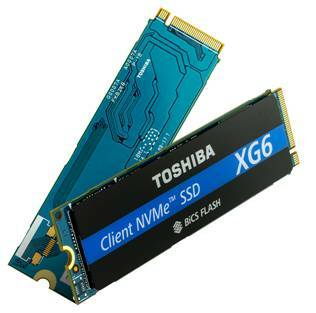 Welcome to Myce’s review of the Toshiba XG6 1024GB NVMe SSD. The Toshiba XG6 is the first product to feature 96 layer, BICS Flash 3D memory, and it is expected to be become available in retail channels during Autumn 2018. 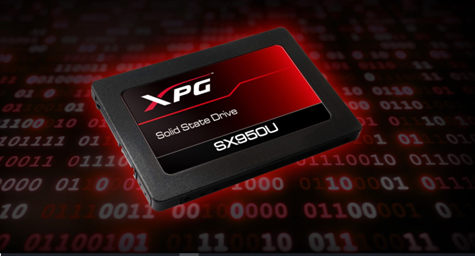 Prior to this the XG6 will be supplied as an OEM product to Laptop, PC and Server suppliers. I must be getting old as it feels to me as if it was only yesterday that 32 layer 3D NAND hit the market. Is it worth waiting for? Please read on to find out. Welcome to Myce’s review of the Crucial Ballistix Sport 3000 MHz, 4 x 8GB, DDR4, Gaming Memory. Crucial (Micron) is one of the world’s most respected memory suppliers. 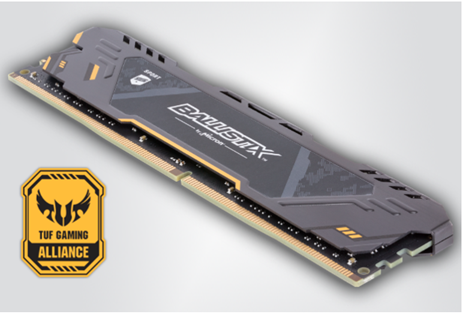 Will the Ballistix Sport Memory prove to be another excellent product? Please read on to find out. Welcome to Myce’s review of the Adata XPG Spectrix D41 2666 MHz, 2 x 8GB, DDR4, RGB Memory. 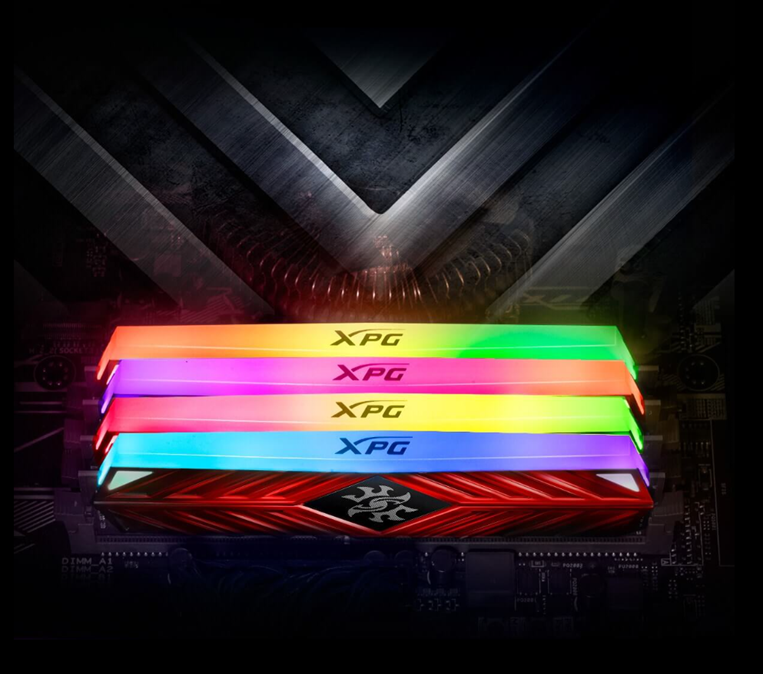 Adata’s XPG Spectrix D41 offers spectacular RGB lighting, but does it perform? Please read on to find out. 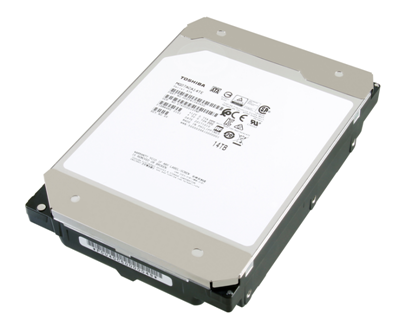 Welcome to Myce’s review of the Toshiba MG07ACA14TE 14TB SATA Enterprise HDD. 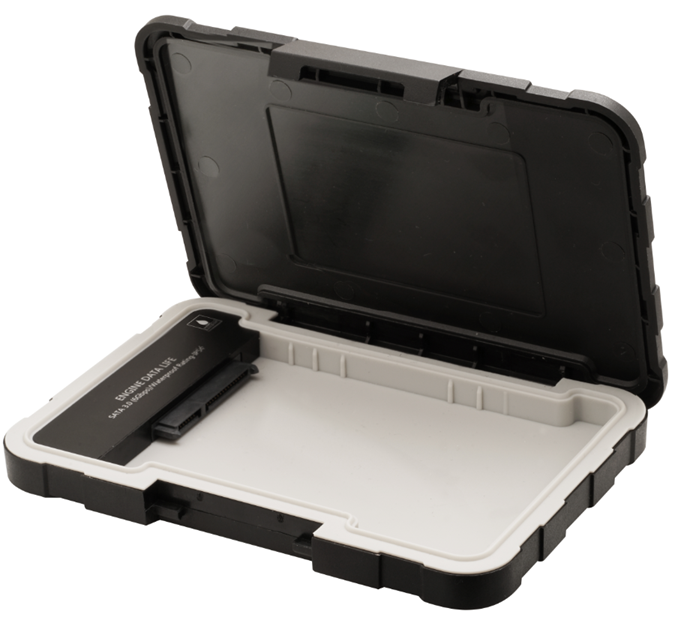 The MOG07ACA is a helium filled, high capacity HDD. Helium gas is hermetically sealed within the drive, and is one seventh the density of air, thus the drag on the drive’s platters is reduced significantly, which in turn reduces power consumption and heat generation. Although this technology is not new, with the MG07ACA, Toshiba includes 9 platters in an HDD for the first time. 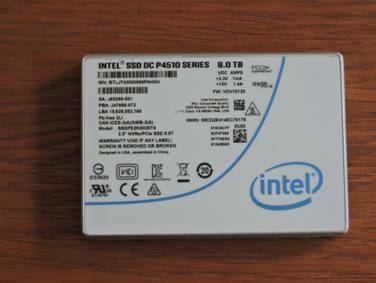 Welcome to Myce’s review of the Intel DC P4510 8TB NVMe 8TB Enterprise SSD. The Intel DC P4510 features Intel’s high density 64 Layer, 3D Nand, which enables the huge capacity of 8TB, and targets applications that are primarily read intensive. Please read on to see what we make of this giant SSD. Welcome to Myce’s review of the Toshiba OCZ RC100 480GB NVMe SSD. The Toshiba RC100 is the second m.2 NVMe drive, I have tested, that uses only 2 PCIe lanes (the first was the Corsair MP300). 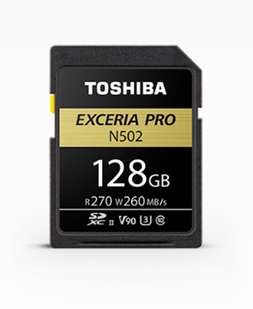 Like Corsair, Toshiba aspires to create a new market segment which lies between SATA SSDs and ‘premium’ NVMe SSDs. Please read on to find if they are likely to succeed. Welcome to Myce’s review of the Corsair MP300 240GB NVMe SSD. The Corsair MP300 is the first m.2 NVMe drive I have tested, that uses only 2 PCIe lanes (whereas the Samsung 970 EVO and the Adata SX8200, that I had tested recently, use 4). This should give the Corsair MP300 a price advantage but will it compromise performance – please read on to find out. 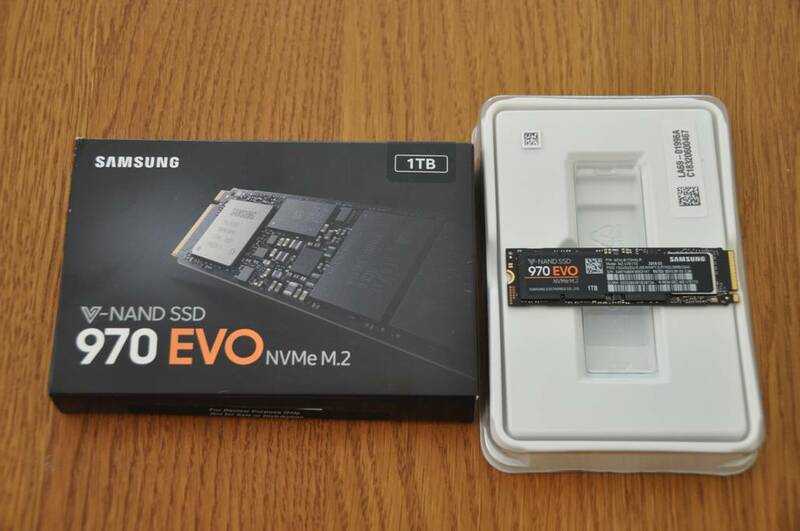 Welcome to Myce’s review of the Samsung 970 EVO 1TB NVMe SSD (hereafter referred to as the Samsung 970 EVO). The Samsung 970 EVO replaces the Samsung 960 EVO and it uses Samsung’s latest 64 layer V-NAND and a new Phoenix controller. Can it win back the performance advantage Samsung enjoyed for some time with its 960 EVO and 960 PRO drives? Please read on to find out. 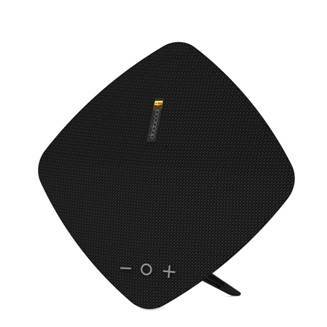 Welcome to Myce’s review of the dodocool Hi-Resolution Rechargeable Stereo Wireless Speaker (Model DA149). dodocool is a Chinese manufacturer that is targeting the accessory market with high quality products, at aggressive price points. Please read on to see what we make of the DA149. Welcome to Myce’s brief review of the Adata ED600 2.5” USB 3.1 HDD/SSD External Enclosure. The Adata ED600 is a ‘rugged’ external enclosure, for 2.5” HDDs or SSDs, which supports connection to a host computer through a high speed USB 3.1 interface (backwards compatible with USB 3.0 and USB 2.0). Please read on to see what we make of the Adata ED600. Welcome to Myce’s review of the Adata XPG SX8200 480GB NVMe SSD (hereafter referred to as the SX8200). The SX8200 uses Micron’s second generation 64 layer 3D NAND and Silicon Motion’s SM2262 Controller and Adata promises an outstanding level of performance to satisfy the demands of the PC enthusiast. The use of SLC caching plus a DRAM buffer does bode well so please read on to see what we make of the SX8200. Welcome to Myce’s review of the dodocool ANC Bluetooth Headphones (Model DA158). dodocool is a Chinese manufacturer that is targeting the accessory market with high quality products, at aggressive price points. 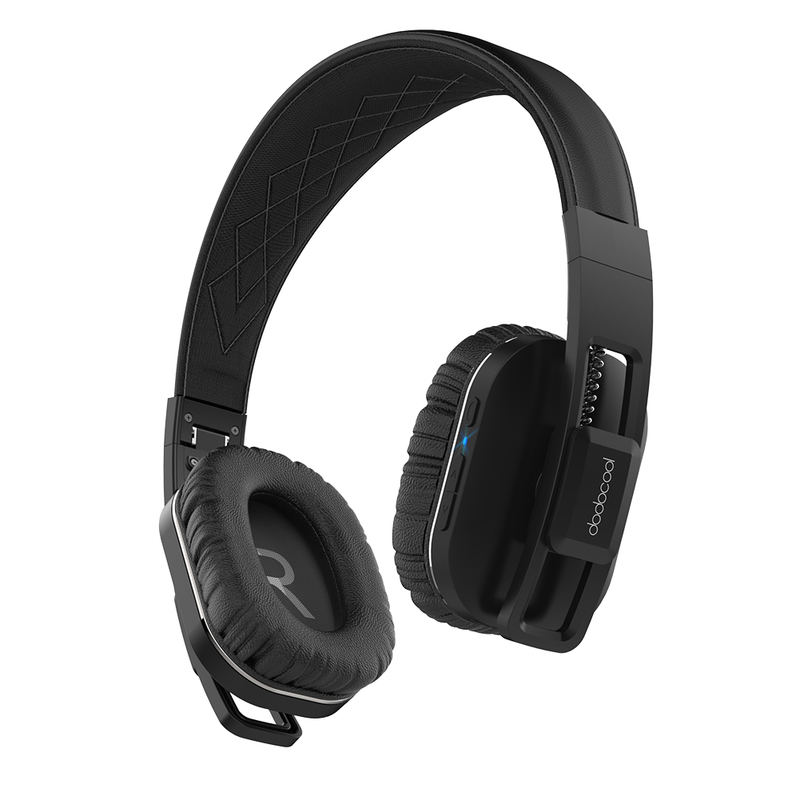 With the DA158 dodocool offers a set of quality, bluetooth, ‘noise cancelling’ headphones, with above average performance, that sit at a price point above typical entry point products, but well below professional grade products. Please read on to see if we feel that dodocool has pulled this off. 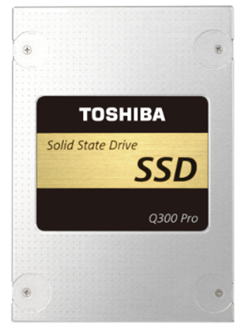 Welcome to Myce’s review of the Toshiba Q300 PRO 1024GB SATA SSD (hereafter referred to as the Toshiba Q300 PRO). The Toshiba Q300 PRO was launched back in 2016. I think it is fair to say that although it was considered to be a strong performer, with strong endurance, it was thought by many to be overpriced. Now it is being discounted, I feel it is worth seeing how it stands up to recent products such as the Samsung 860 PRO – please read on to find out. 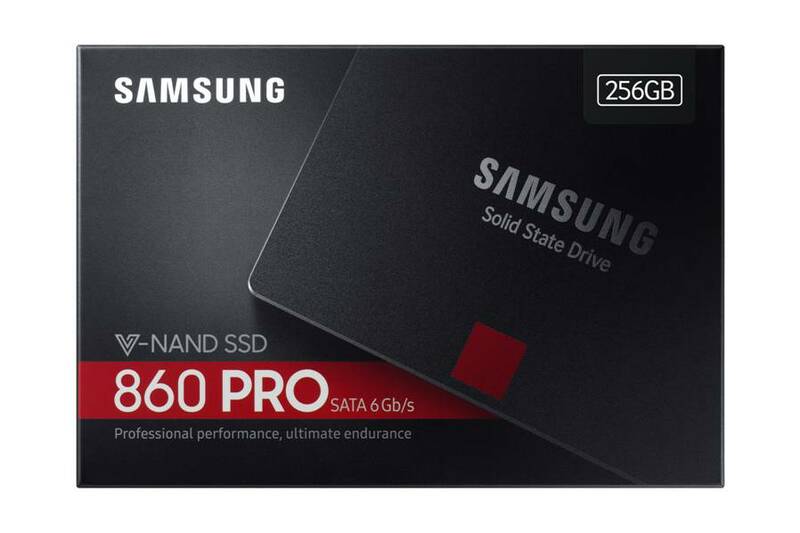 Welcome to Myce’s review of the Samsung 860 PRO 256GB SATA SSD (hereafter referred to as the Samsung 860 PRO). The Samsung 860 PRO is the successor to Samsung’s very successful 850 PRO. The Samsung 860 PRO uses Samsung’s latest 64 layer, V-NAND 2bit MLC technology, and the newly designed MJX controller. It is available in three form factors – 2.5 inch, M.2 2280, and mSATA. It will be interesting to see how the Samsung the 860 PRO compares to the Samsung 860 EVO, which recently set new records for an SATA drive in many of our tests. Its not easy reach the top and Crucial has done this many times in the past, but it even harder to stay at the top. 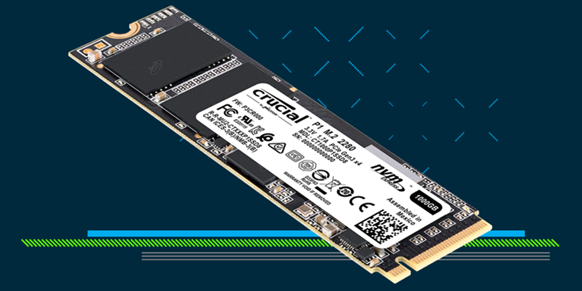 With the release of the MX500 SSD that comes with the new second generation of 3D TLC NAND, Crucial is aiming again for the the top. So read this review to find out all about the Crucial MX500. 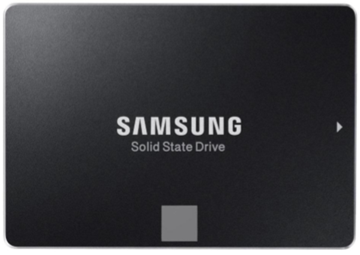 Welcome to Myce’s review of the Samsung 860 EVO 250GB SATA SSD (hereafter referred to as the Samsung 860 EVO). The Samsung 860 EVO is the successor to Samsung’s very successful 850 EVO. The Samsung 860 EVO uses Samsung’s latest 64 layer, V-NAND 3bit MLC technology, and a newly designed MJX controller. It is available in three form factors – 2.5 inch, M.2 2280, and mSATA. Samsung promises better sequential and random performance as well as improved endurance. Please read on to see how the 860 EVO performs. 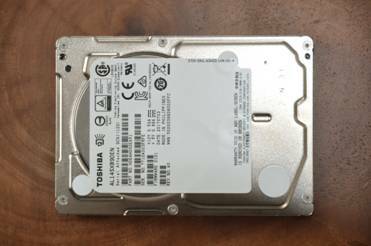 Welcome to Myce’s review of the Toshiba AL14SXB90EN 900GB SAS 2 Enterprise HDD (hereafter referred to as the AL14SXB). 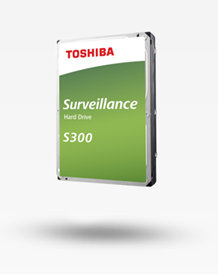 I have reviewed one of Toshiba’s 15,000 RPM, 2.5inch form factor, HDDs before, the Toshiba AL13SXB600N, which used a SAS 2 6Gbit/s interface (you can see this review by clicking here). The new AL14SXB90EN uses a SAS 3, 12 Gbit/s interface so it’s going to be interesting to see how they compare – please read on to learn what we find. 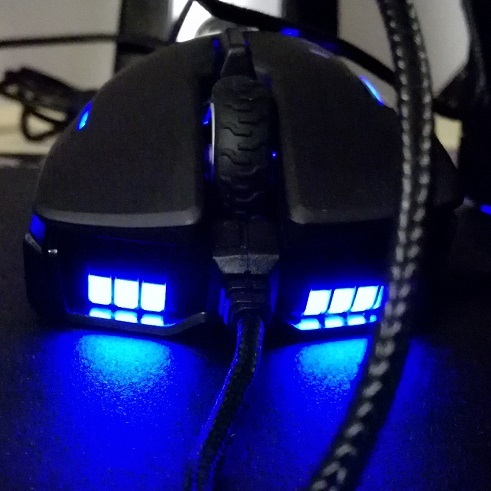 Today i am taking a quick look on the Corsair Glaive mouse, and the Polaris MM800 RGB mousepad, lets find out how well they perform but also check what extra the Corsair CUE software has to offer. Continue reading to find out more.